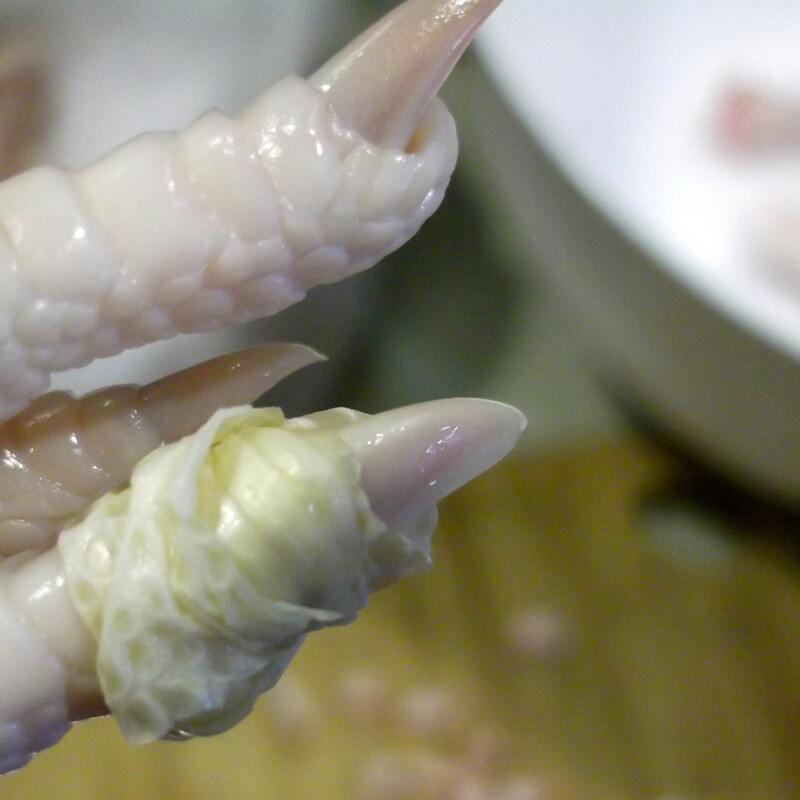 I know that you are probably asking yourself why chicken feet. Because I love offals! They are very cheap to buy, they are packed with flavour, yes it takes very long to cook them and break down the protein, but trust me the end result is so worth that extra time. But he didn’t approve of joining me to eat the chicken feet. So if hubby doesn’t go to the chicken feet, the chicken feet had to come to hubby. I embarked on this journey of proving to him that they were delicious. I watched a lot of youtube videos, mostly in Chinese, but it was the best way to understand the method to apply for this task. And after hours of research, one weekend I went to Northbridge, and bought them (I wonder what the Chinese clerks who sold them thought of me). It didn’t turn out exactly like the Dim Sum restaurant, and I wasn’t expecting it to be the same. But it was an absolute success and most important, hubby loved it. Mission accomplished! 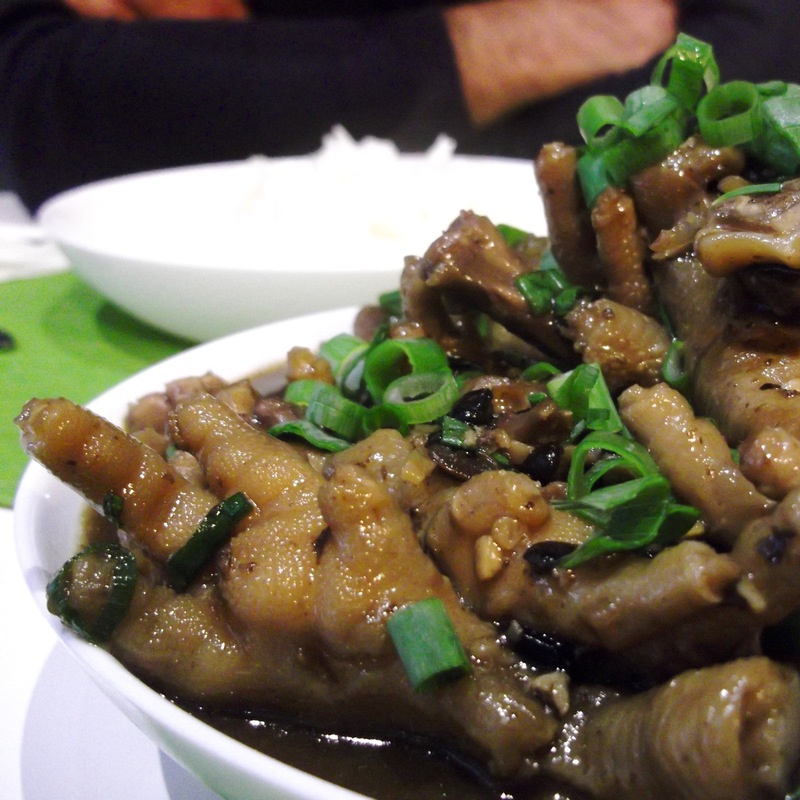 Sticky, salty, sweet and lip smacking chicken feet. 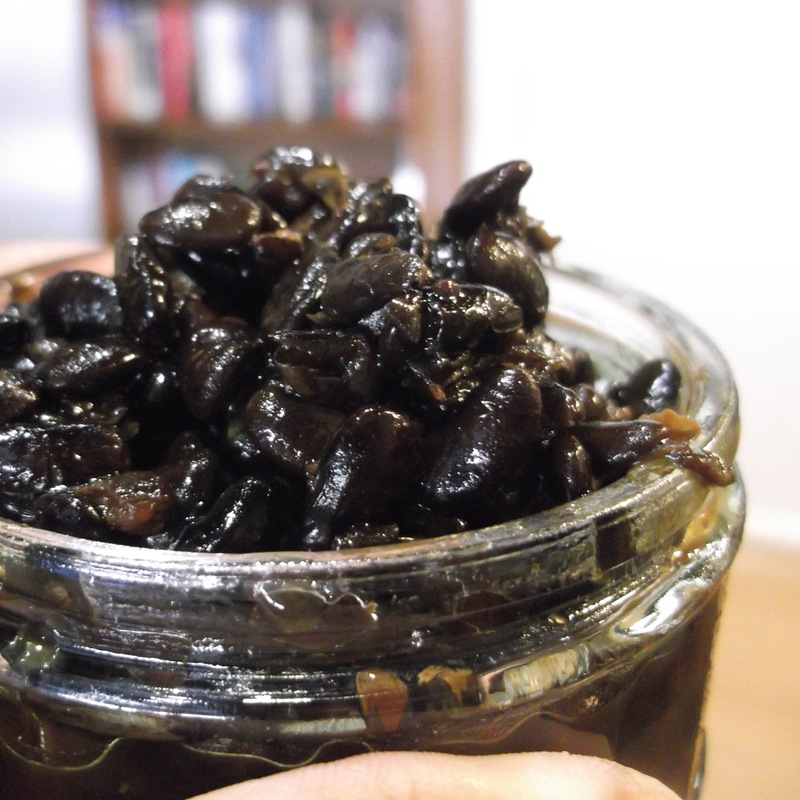 The black soy beans were the highlight of this dish. They are salty and yet a little bit sweet, they are the flavour enhancers of this dish, they are INDISPENSABLE! 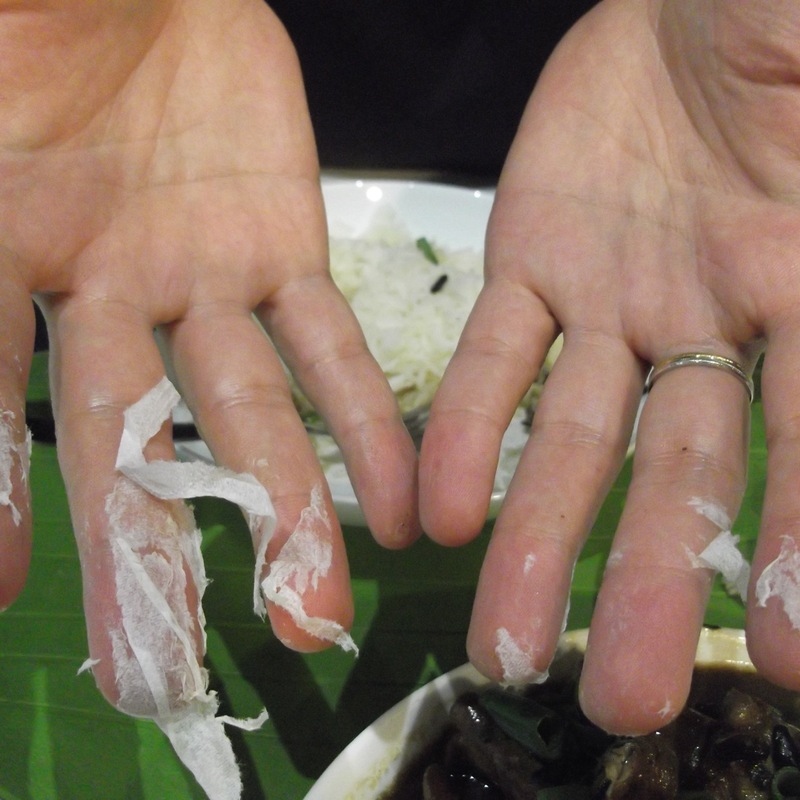 We didn’t have chopsticks, so we actually dug in with our hands, like we were eating chicken wings. 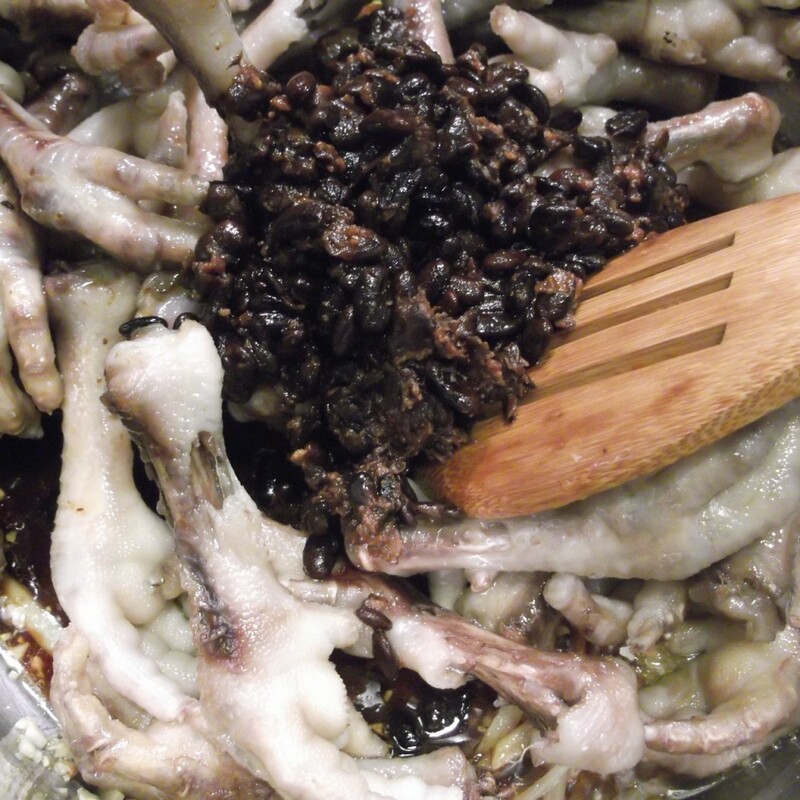 By the way, do you like chicken feet? What is your favourite food at a Dim Sum? I really want to know. 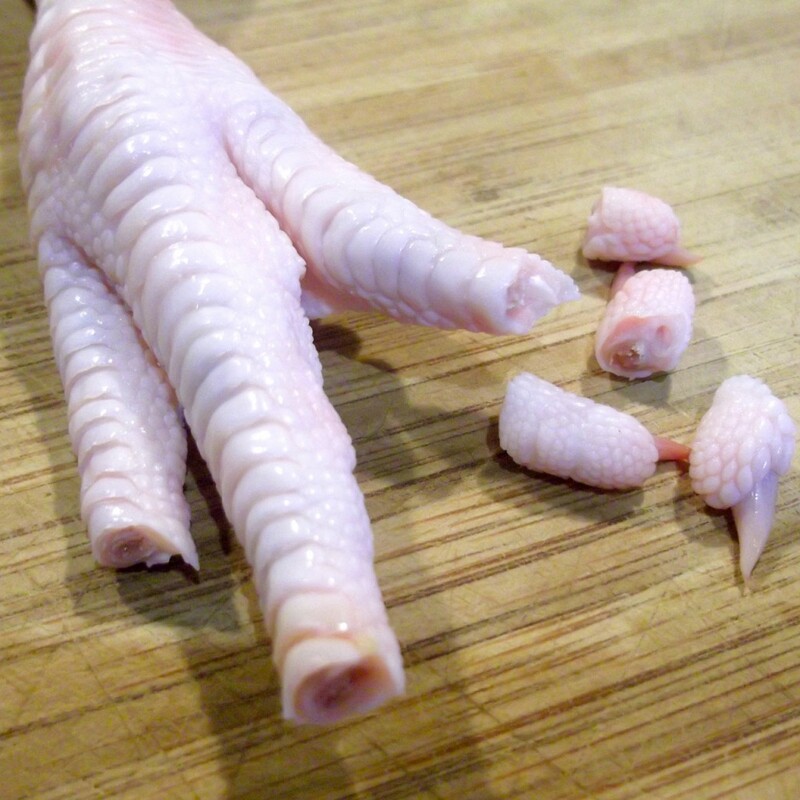 Clean the chicken feet by cutting off the claws with a really good knife or kitchen scissors. 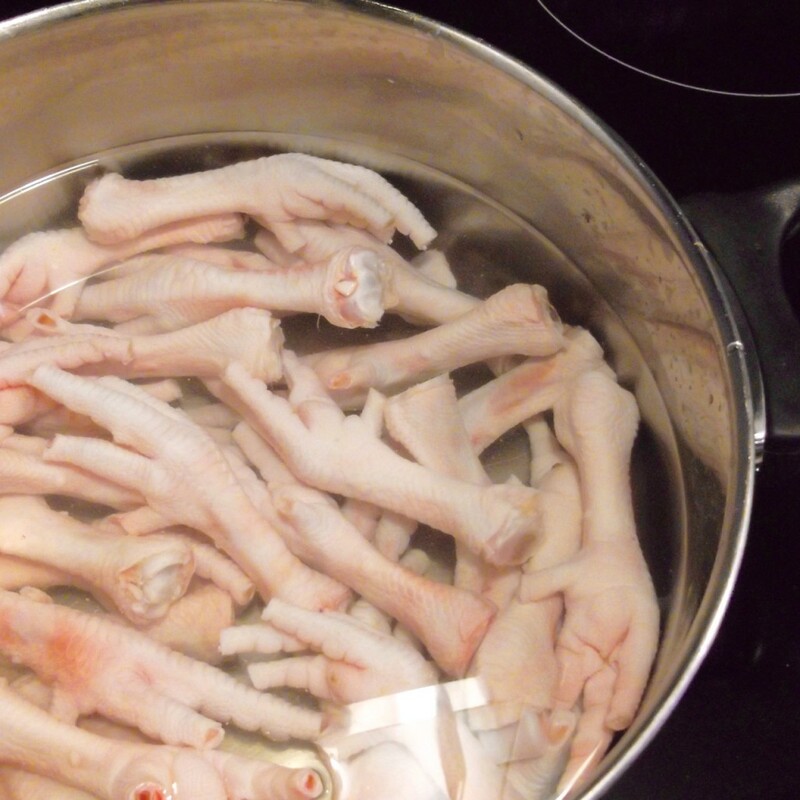 Boil the chicken feet for 20 minutes. Place in cold water and drain. 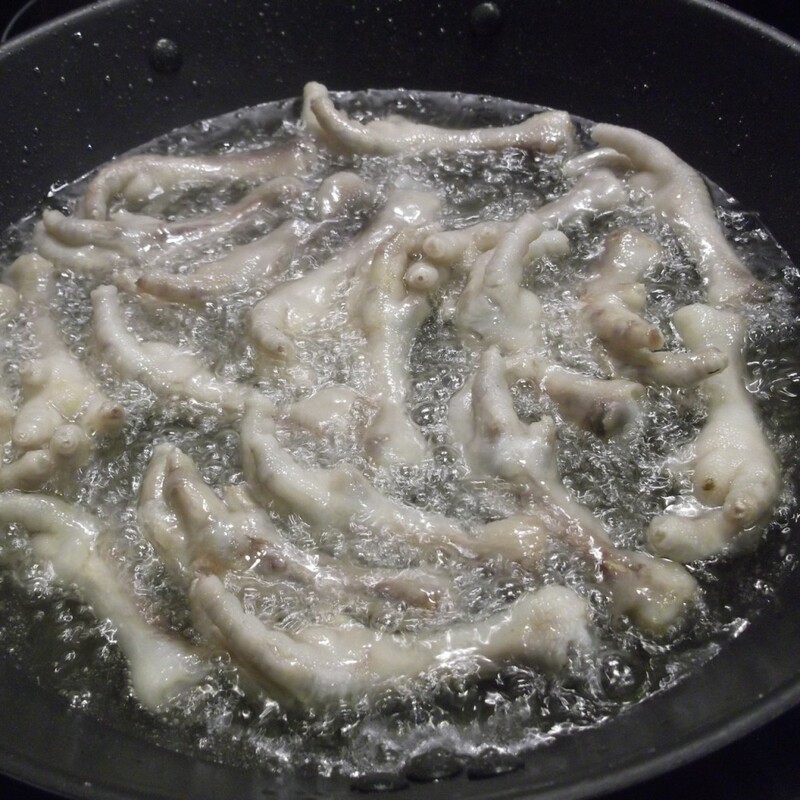 Pat them dry with a kitchen paper, this prevents the splattering of oil from deep frying them. Deep fry them in batches until golden. This step is very important because it is like you are blistering the skin, creating tiny pockets to grab on all the flavours from the sauce. Remove and keep them aside. Sautee the ginger, garlic. 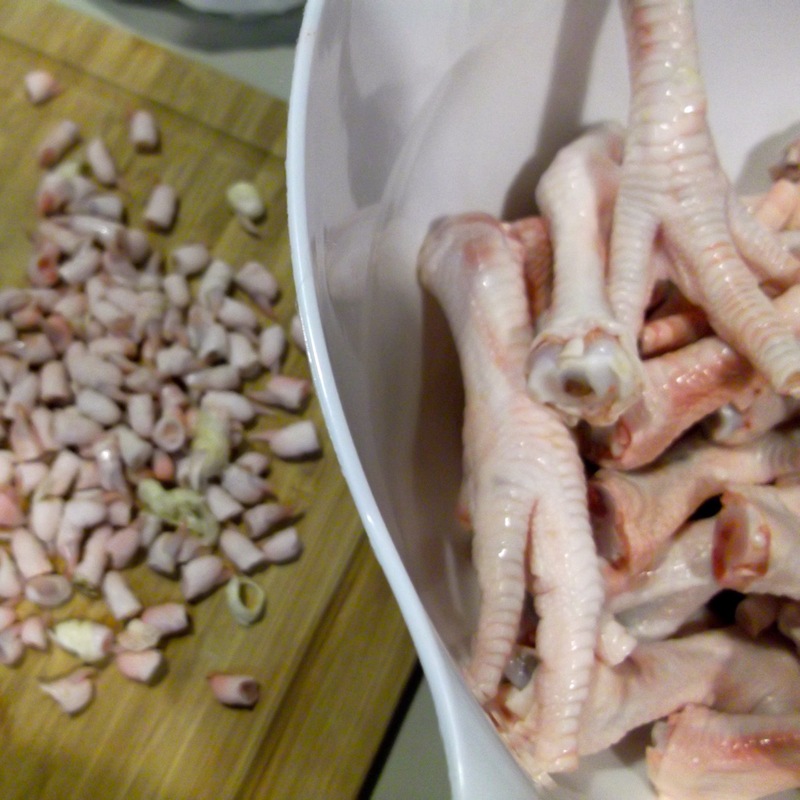 Add the chicken feet and the beans. Mix them well. Mix in the pot the sugar, soy saucem oyster sauce and water to cover. Let it boil first, then lower the heat to medium-low and cover the pot and let it simmer. Check if it needs water from time to time, and for tenderness. Once the feet are tender, mix the corn starch with a little bit of water (no lumps please) and add it to the sauce and stir well. Let the sauce thicken and then remove from the heat. I grew up not loving chicken feet though my parents cook them often until one fine day, things just turned around for some reason. I love ’em now and yours looks to die for. Lip smacking indeed. You’re probably the first non Asian I know that not only loves but actually cooked chicken feet. Hurrah! Hi Ai Ping thank you for finding my chicken feet to die for 😉 I grew up not knowing that chicken feet could be eaten. Since I came to Australia my circle of friends has diversified, I have a chance to experience Asian food that I would have never thought I would. I get to taste, eat, and learn how to cook from my Korean, Vietnamese, Thai, Chinese, Malaysian etc etc And I love it! 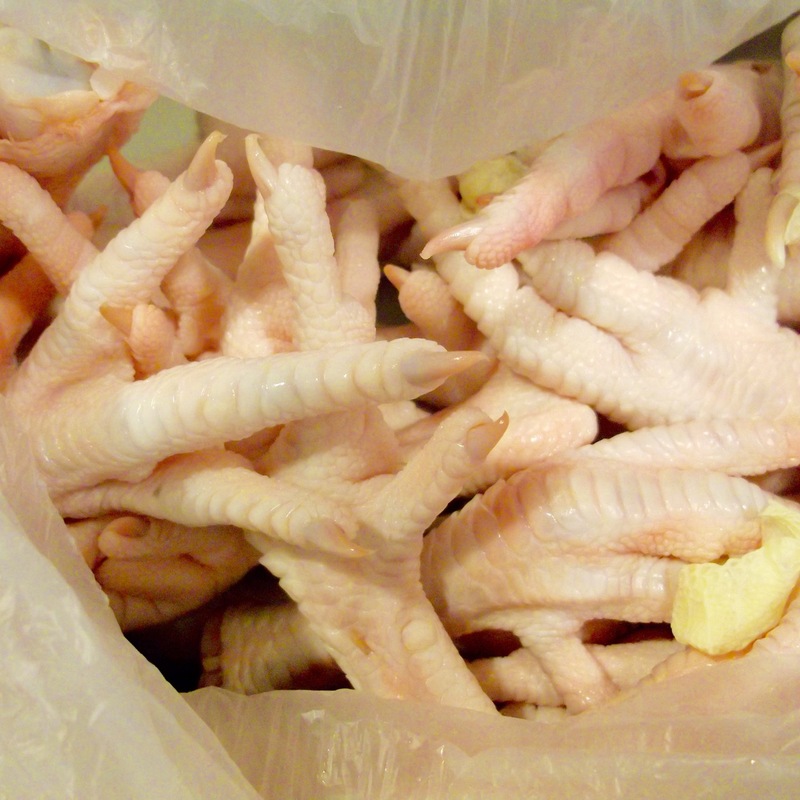 my local grocer often has chicken feet in the meat case. I’ll admit I had no idea how to use them (aside from stock). this recipe puts a whole new spin on the ingredient. 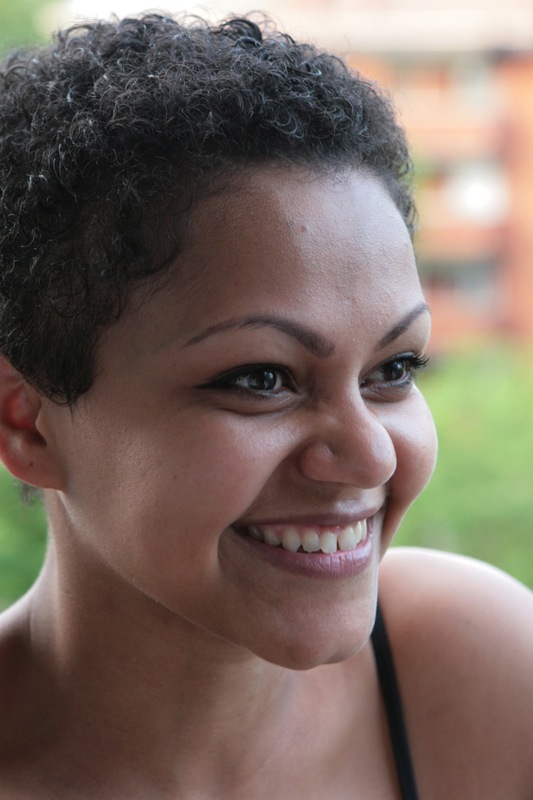 DALIA, you are a blogger after my heart!!! I LOVE chicken feet at dim sum restaurants but I only order when there’s at least two people with whom I can share an order. You rock for sharing this recipe, totally love it. Sharon your comment literally made my day 😉 I have plans to make at home most of my dim sum favourites. I really want to try and make the egg custard buns. I just need to do some research on it first.